By one count, only 61 of the 2,500 senior policy staff members working for the Senate are black. There are, however, no exact records -- because Congress has exempted itself from equal-opportunity and affirmative-action laws. -- House Speaker Jim Wright's office catches fire, but there are no sprinklers. The laws requiring them do not apply to the Capitol or other federal buildings. -- A controversy erupts over dangerous working conditions in the Capitol's mail-folding room, where newsletters are processed. Congress does not fall under the occupational safety and health (OSHA) regulations that bedevil other employers. -- Legislators are about to decide whether to raise the federal minimum-wage level for the first time in seven years. At the moment, however, the minimum-wage laws do not protect the 15,000 people who work for Congress. -- Michael Deaver and Lyn Nofziger face jail terms because their lobbying ran afoul of the Ethics in Government Law. Congressmen and their staffers who become lobbyists and do the same things have no fear: the law does not apply to them. Congress's attitude, says Senator John Glenn, "is the rankest form of hypocrisy. Laws that are good enough for everybody else ought to be good enough for us." Instead, Congress has exempted itself from a broad array of laws covering civil rights, minimum wages, and safety requirements and discrimination. "Congress would exempt itself from the laws of gravity if it could," says Illinois Congressman Henry Hyde. Note: The fact that Congress exempts itself from its own laws is one of the major sources of corruption in the US. 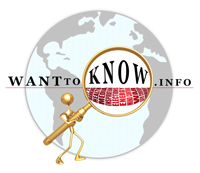 For lots more from reliable sources on government corruption, click here.